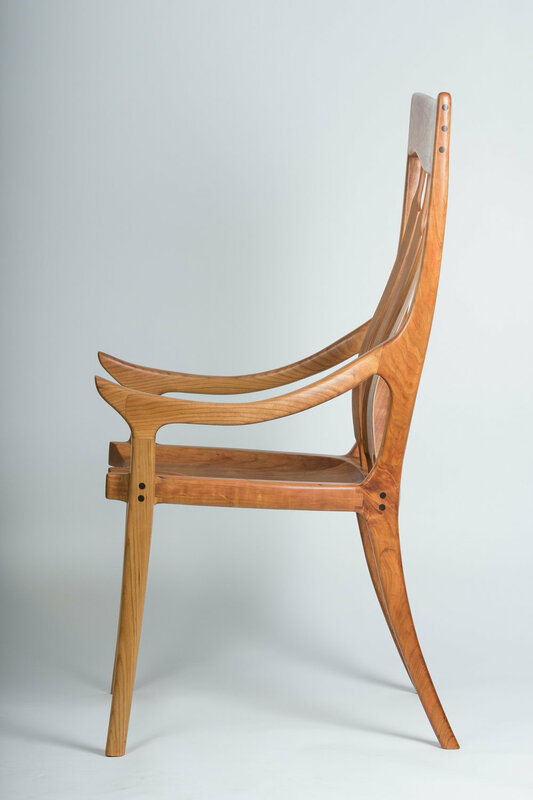 Inspired by Sam Maloof, a legendary craftsman. Made of Cherry and hand finished with a homemade mixture of polyurethane, boiled linseed oil and mineral spirits. The finish is then polished with a homemade beeswax/walnut oil combination which adds a nice sheen and smooth feel to the wood. This provides a durable finish that allows the wood’s natural beauty to shine through.